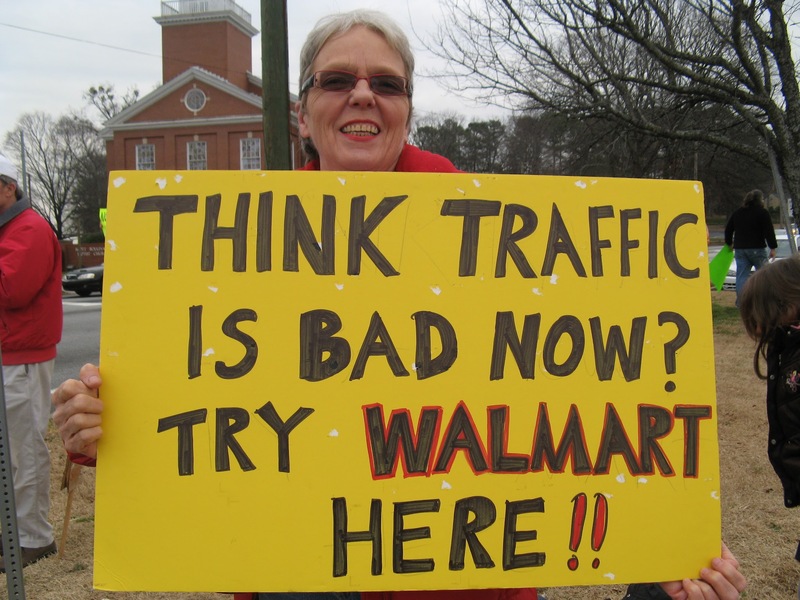 We presented the voice of the people in the community: petitions signed by more than 3,000 people against the Walmart proposal and we cited the 500+ Stop Walmart signs that are all over the neighborhoods, as well as our survey with 75 percent of responses opposed to Walmart. Again, Selig’s attorney repeated that they would not discuss Walmart. Very simply, the deal with Walmart provides the financial base for Selig to bring in junior anchor stores, such as LA Fitness, Michaels, and Bed, Bath and Beyond. Thus, the gateway to Decatur becomes another mall filled with chain stores. It seems there would be little interest in small local businesses or mixed use that would follow the precedent set so successfully in downtown Decatur – just lots of chain stores. The bowling alley will stay. The theatre has been supported by Selig in the past, but it will have to go unless space can be created somewhere else in the center. Perhaps there would be a restaurant with a patio and a coffee shop. 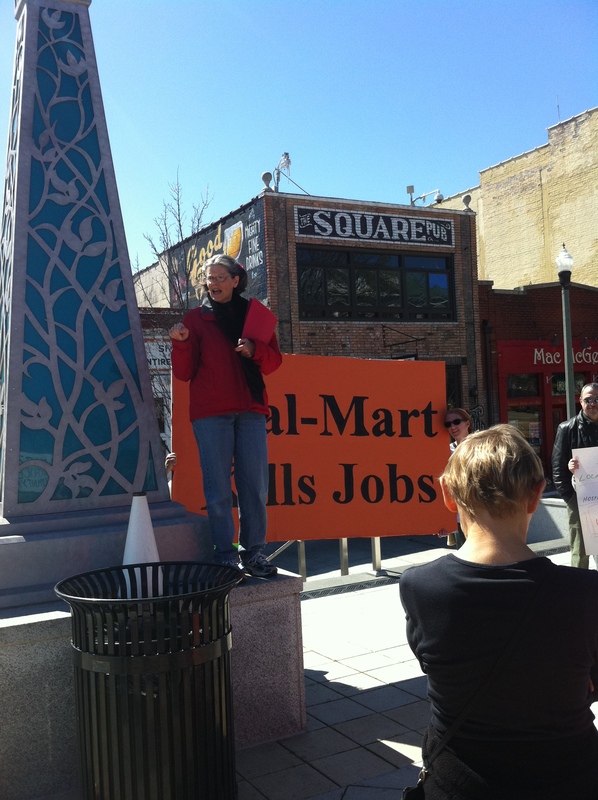 It seems, at this point, finding a legal course to pursue is the only alternative to stop this Walmart. Good Growth DeKalb had a table at several spring and fall festivals, where people dropped by to learn more about the group, signed the petition, contributed their ideas for a better vision for Suburban Plaza, picked up yard signs and buttons and more. If you would like to show the full-length or 20 minute version of this film at your next neighborhood association meeting, book club gathering or work brown bag, please contact us at goodgrowthdekalb@gmail.com. 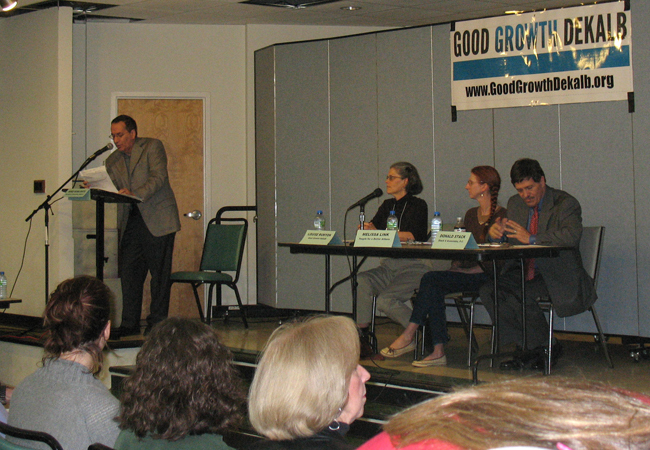 Almost 300 people turned out to our first community forum! 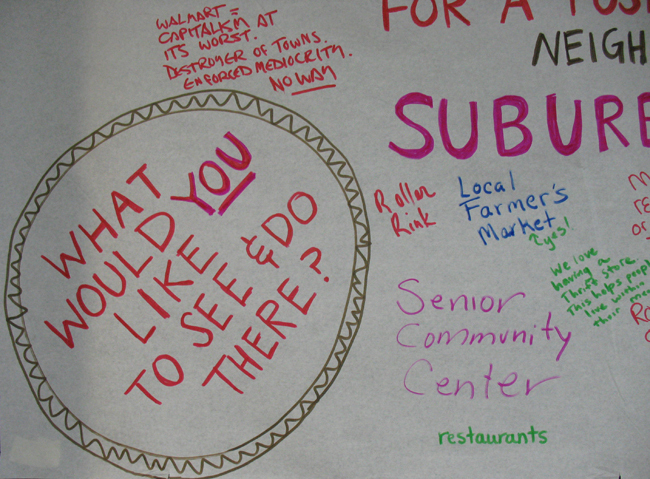 Attendees asked questions and shared their vision for a great-looking and more sustainable Suburban Plaza that neighbors will want to visit for shopping, dining, entertainment and more. Despite the lighter traffic on this holiday, we got a strong reception at the intersection of Desmond and Willivee in the Medlock Park neighborhood.